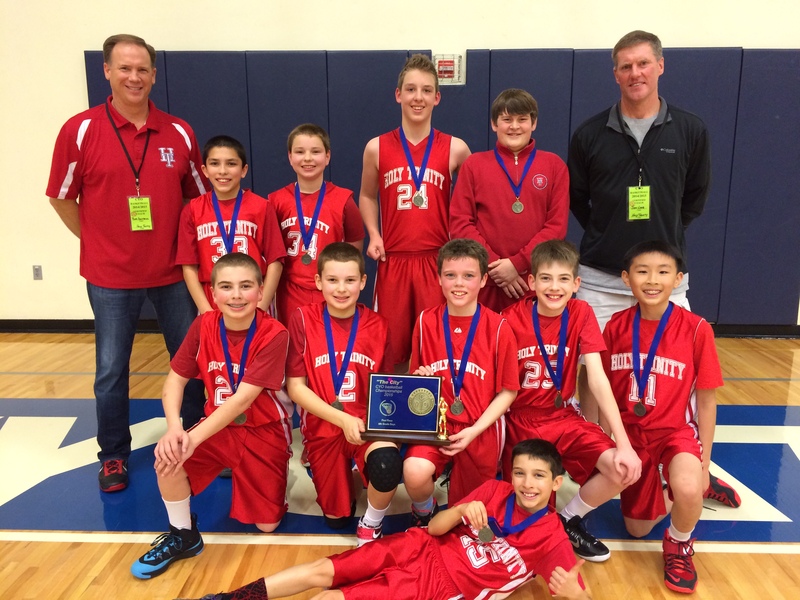 Sunday March 15, 2015 CYO 6th Grade Boys City Championship Home: Christ the King – Eric Bergeson, Mike Weaver, Geoff Boyd Away: Holy Trinity – John Lang, Bob Holthaus Q1: 17 – 3 Holy Trinity Q2: 19 – 19 Q3: 25 – 41 Holy Trinity Q4: 31 – 55 Holy Trinity FINAL Highlights Set the stage: Holy Trinity won the 2014 Championship against Our Lady of the Lake. 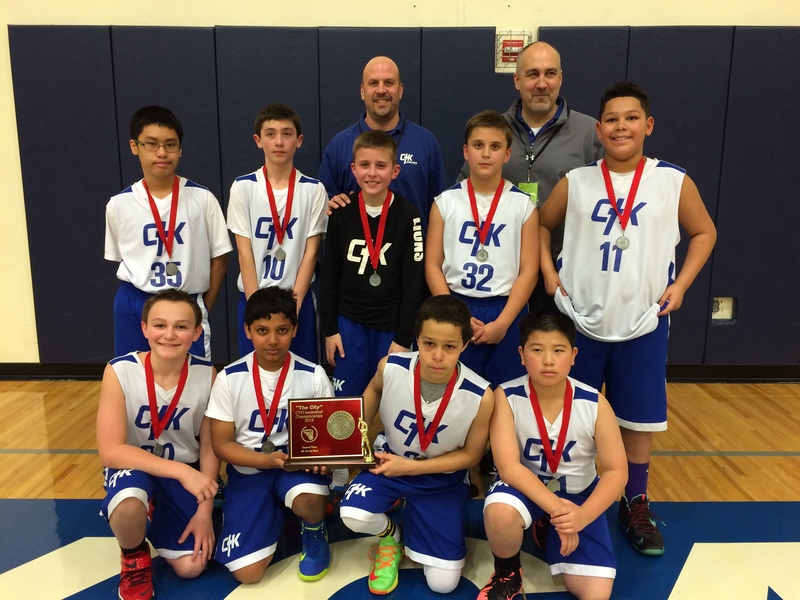 Christ the King beat Holy Trinity in pre-season play. Christ the King finished third in 2014. Holy Trinity fans came to the game decked out in Red and white ready to cheer! HT student fans had player heads cut out of paper pasted onto sticks. Holy Trinity took decisive control of the game in the first quarter outscoring CTK 15 – 0 with 30 seconds left. Christ the King got on track in the second quarter, began grabbing rebounds, making some GREAT shots including two three pointers by Jackson Jaha. Two free throws by Jaha, with 46 seconds left in the game tied the game 19 – 19. In the third quarter, Holy Trinity went on a 20 point scoring spree, outdistancing CTK by 14 points. With 5 minutes left in the fourth quarter, Isaiah Baker fouled out of the game just as CTK ignited a comeback. Unfortunately, CTK was not able to catch up with Holy Trinity but it was a great game to watch from beginning to end. Lots of talent on both teams!